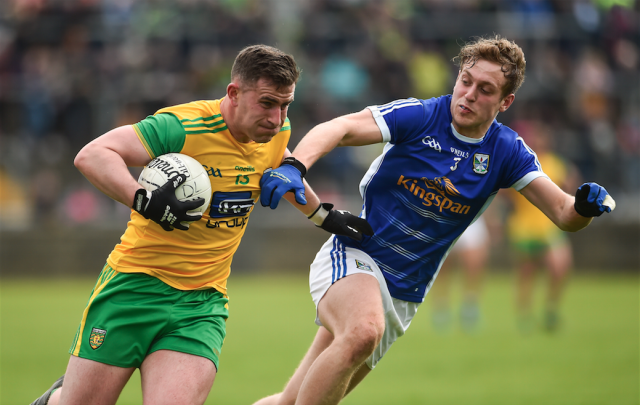 Donegal advanced to the quarter-finals of the Ulster SFC with victory over Cavan in Ballybofey yesterday. The side managed by Declan Bonner played in fits and starts, building up a head of steam on a couple of occasions – well, once in each half in particular – and appearing to motor away, only to let Cavan back to within touch here and there. 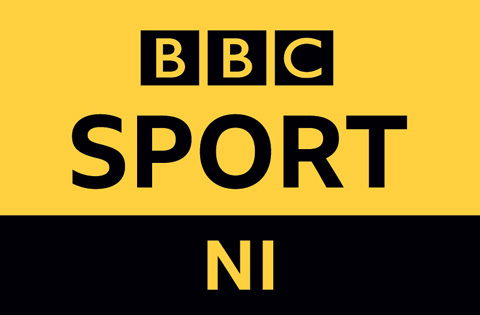 However, Donegal did manage to keep their guests at arm’s length and did enough to set up a last eight fixture against Derry at Celtic Park in two weeks’ time. 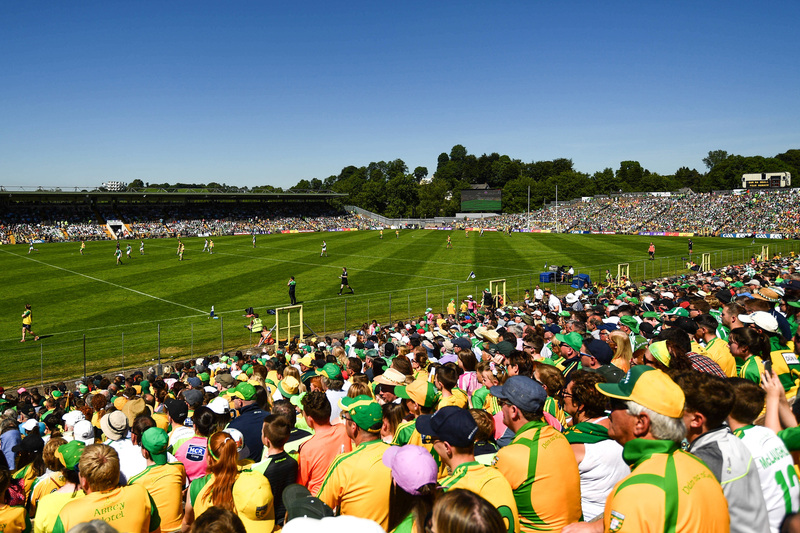 When they were good, Donegal were good, but, a bit like on occasions in the Allianz League, they did cause some consternation to their supporters. But all was well that ended well on a day when Donegal had eight different scorers and their young panel got off into a gallop. Patrick McBrearty, until the 59th minute, wasn’t one of those scorers but his clicking into gear and four late points got Donegal over the line with a bit to spare. Cian Mulligan, who had come off the bench, had set up McBrearty for two of those scores and rammed home Donegal’s second goal in the last minute, driving low into Raymond Galligan’s bottom corner. Momentum shifted. Here and there. Over and back. Donegal, at one stage in the first half, outscored Cavan 1-9 to 1-0 to move from 0-3 to 0-1 behind to 1-10 to 1-3 in front. In that fruitful stage, Michael Langan and Ciaran Thompson in particular excelled, with both finishing the afternoon with three points from play apiece. 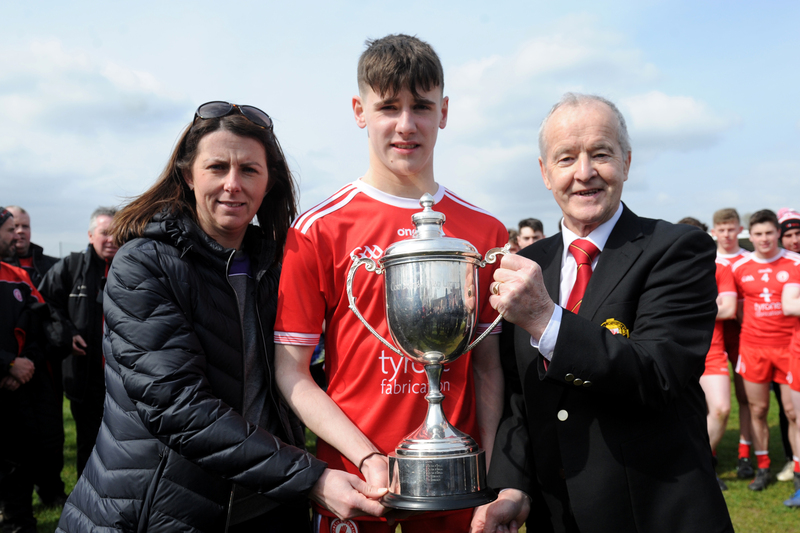 Caolan Ward also scored a fine point on the run and Jamie Brennan and Michael Murphy were also scorers. Cavan’s goal, on 16 minutes was tucked away neatly by Caoimhin O’Reilly, following great approach play from Killian Clark, who cut inside and opened up the whole Donegal defence single-handly. That made the score 1-3 to 0-4 for Cavan but Donegal dominated from then until the 30th minute. The hosts goal came from Ryan McHugh, who slapped a Murphy free past Galligan as it dropped short on 24 minutes. Galligan, though, did manage to keep McBrearty out in a one-on-one situation and Cavan’s hopes were boosted with the last three scores of the first half, with Gearoid McKiernan, twice, and Niall Murray scoring. Donegal were 1-10 to 1-6 ahead at the break. Cavan might’ve finished the half well and certainly manager Mattie McGleenan would’ve stressed the need for a continuation of the positive surge into the second half. However, Murphy pointed Donegal’s first free inside a minute of the restart and his side would add five more before Cavan would bother an umpire. Leo McLoone and Jamie Brennan joined the Donegal captain in that six-point drive that stretched the lead out to 1-16 to 1-6. A bit like before the break, though, Donegal left the back door ajar and from there, Cavan managed to pop over five-in-a-row of their own. Cian Mackey and McKieran, who would end up with seven in all, helped Cavan back to within four points, 1-16 to 1-11 down. That was when McBrearty took charge and his four points, as well as Mulligan’s goal drove Donegal home. Cavan did continue to add to the scoreboard themselves, something that Donegal manager Bonner will have taken note of before travelling to Derry on May 27. Scorers for Donegal: Michael Murphy 0-6 (3f), Patrick McBrearty 0-4, Ryan McHugh 1-0, Cian Mulligan 1-0, Ciaran Thompson 0-3, Michael Langan 0-3, Jamie Brennan 0-2, Caolan Ward 0-1, Leo McLoone 0-1. Scorers for Cavan: Gearoid McKiernan 0-7 (2f), Caoimhin O’Reilly 1-3 (3f), Cian Mackey 0-2 (1f), Niall Murray 0-1, Bryan Magee 0-1, Adrian Cole 0-1. 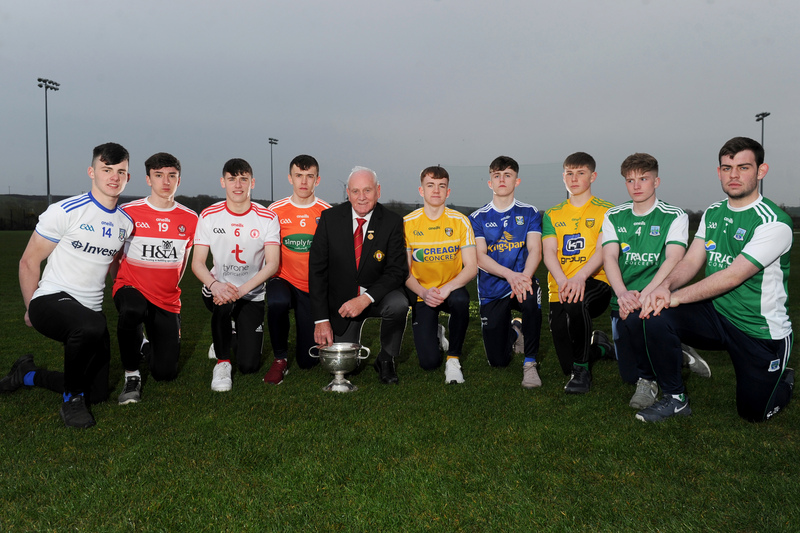 DONEGAL: Shaun Patton; Eoghan Ban Gallagher, Neil McGee, Caolan Ward; Stephen McMenamin, Paul Brennan, Ryan McHugh; Hugh McFadden, Leo McLoone; Ciaran Thompson, Michael Langan, Frank McGlynn; Patrick McBrearty, Michael Murphy, Jamie Brennan. Subs: Ciaran McGinley for Thompson (52), Eamonn Doherty for McMenamin (58), Cian Mulligan for McHugh (59), Mark McHugh for McGlynn (65), Stephen McBrearty for J Brennan (68), Caolan McGonagle for Langan (60). CAVAN: Raymond Galligan; Jason McLoughlin, Padraig Faulkner, Niall Murray; Killian Brady, Ciaran Brady, Conor Moynagh; Killian Clarke, Bryan Magee; Cian Mackey, Oisin McKiernan, Enda Flanagan; Caoimhin O’Reilly, Gearoid McKiernan, Conor Bradley. Subs: Fergal Reilly for K Brady (22), Niall Clerkin for Murray (half-time), Adrian Cole for Magee (43), Martin Reilly for O’Reilly (45), Dara McVeety for Flanagan (52), Ryan Connolly for Bradley (70).